Over the past two weeks the broad market has been inching its way higher. The recent intraday volatility indicates bull and bears are both trying to take control. Money flows in one hour and out the next. This is not the greatest price action for swing traders, but day traders love these powerful intraday moves. If you take a look at the price of precious metals and the SP500 you will notice that precious metals started to sell off about 10 days before the broad market bottomed in March. Money was pulled out of silver and gold and put to work in the extremely over sold equities market. Precious metals have now been moving higher the past 4 days and I expect this is because the equities market looks overbought and ready to roll over. Investors and active traders are starting to put money back into the “safe haven” incase the rest of the market drifts lower. 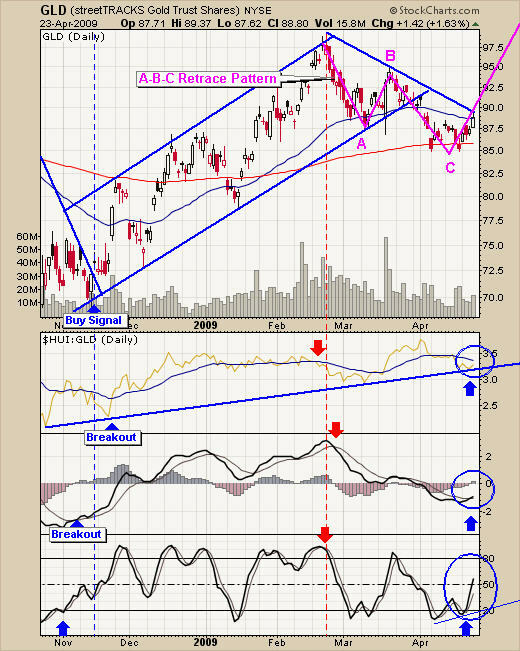 In short it looks like gold is forming an ABC retrace pattern which in the longer term is just a pause before another move higher. Several indicators which I follow are pointing to higher prices for gold as well. 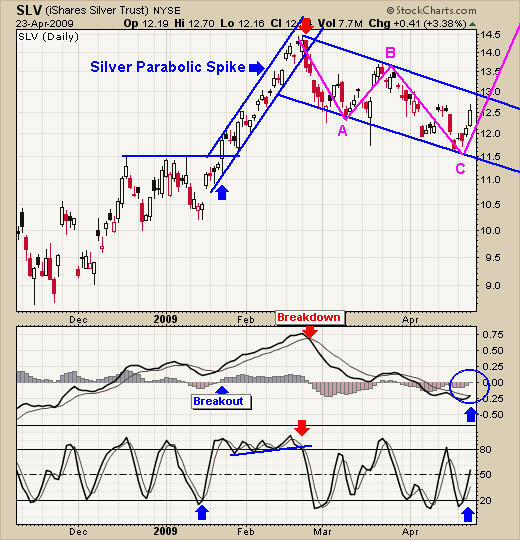 Silver has been doing much the same as its big yellow brother. It is currently trending down contained within its channel but looking like it could make a move higher. 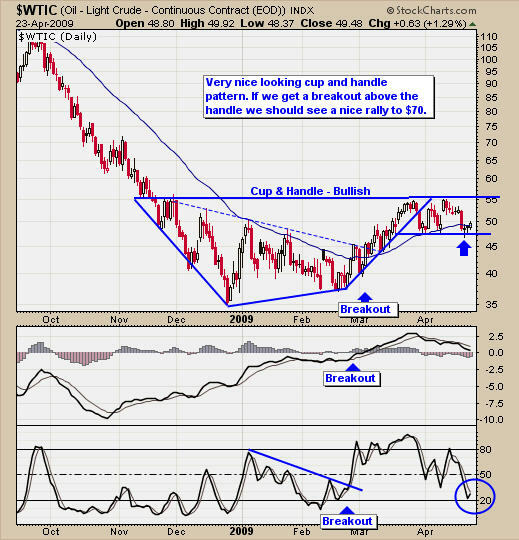 Crude oil has been trending sideways for several weeks forming a very nice looking cup and handle pattern. A cup & handle pattern is a bullish pattern. Currently oil is at the bottom of its trading range and starting to move back up. These commodities look to have found short term support and are headed to test the upper channel/resistance levels once again. It is very likely that the broad market will start to head south and money will flow back into precious metals sending them higher. The above patterns look very simple to navigate but never underestimate the market. It thrives on people emotions convincing them to put their money to work only for the investment to whipsaw around swallowing your hard earned money. Trading is a dangerous game if not handled with care. My main focus when trading is to take some profits early in the trade, and to exit when prices surge higher for big profits or to cut my losses a position starts to go against me. If a trade is a few percentage points in the money, then I make sure it will not go against me. More often than not I take a small profit on the first half of my trade and tiny or break even on the second half. This allows me to slowly and consistently make money without any wild swings.